Illum Sphere makes his boldest statement yet with a restless, uneasy album allowed the space and time to slowly unravel. The follow up to 2014’s Ghosts of Then and Now sees DJ and producer Ryan Hunn (aka Illum Sphere) make a concerted effort to mix things up. As he has said in interviews surrounding the album, he has focused on not repeating himself and in his own words create something totally different using “a different palette, pace and energy”. The result is a self-assured album that sees him straddle the path between experimental ambience and offbeat house. It’s a winning combination as he has created something so thrillingly idiosyncratic, that it is impossible not to be seduced by its charms. On the flip side is Hunn’s more experimental work that finds him trusting his instincts to see where he can take an idea. “Oracle” is much more ambient than anything that has come before. It has a lackadaisical, lethargic opening with soft keyboards twinkling in the musical mist like snippets of conversation heard in the wind. It has much more of a warm, soundtrack feel to it, feeling more akin to the cinematic sweeping work of Kuedo. It’s a song that really opens up the more you hear it. That feeling continues into “Paradise”. Hunn again layers sounds before weaving droning, ominous keyboards, comparable to a pesky black cloud blocking out the sun. It serves as the perfect foundation for his sonic experimentation. Even the most avant garde moments on the album are underpinned by simple keyboard and synth riffs. “Wounded” is tethered by a straightforward keyboard line that increases in speed before ambient keyboards take over. The whole thing is finally allowed to collapse under the weight of its own drama. There are moments on here that are almost beyond description. “River” actually sounds like the recording of two hydraulic loading platforms in a dance off at a cultish ceremony. It feels like a much more sparsely constructed cousin of “At the Heart of It All” by Nine Inch Nails. “Thousand Yard Stare” is the epic highlight that manages to tie the different strands of his musical character together. It builds slowly, accented by a spellbindingly ambient sound of a beautifully discordant piano. He astutely uses a single note to build to an onslaught of percussion and keyboards that deliberately tighten their grip on you. Sphere gives the song time and space to twist and turn like a kite caught in the wind before settling on a detached dance beat that cuts through with clinical precision. It’s the perfect juxtaposition between the icy synth lines and warm, familiar percussion that make this album so captivating. Glass marks a huge progression for Illum Sphere. On first listen there seem to be less hooks to hang your hat on. However, on repeat listens it becomes apparent just how clever he has been. Soon, keyboard riffs, however fleeting, embed themselves in your brain. Although, at times, it is a chilly and detached album, it’s not a solemn one. There’s a bleakness to it, but there is still plenty to keep the feet moving -- even if it is just to keep yourself warm. 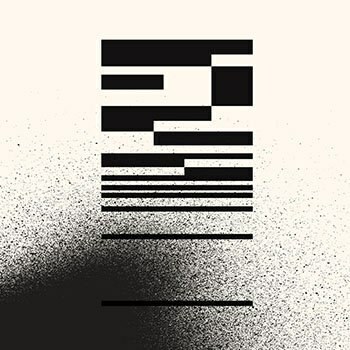 In a year with so many great immersive electronic albums, this could well be one of the finest of the lot.